In my travels around the internet one of the rabbit holes that I recently fell down was reading about the sculptor Alexander Calder. Somewhere along the line, I learned that he lived and worked in Roxbury, Connecticut. That’s a little town that is less than an hour from Bridgeport where the ferry drops me off when I cross the Long Island Sound. 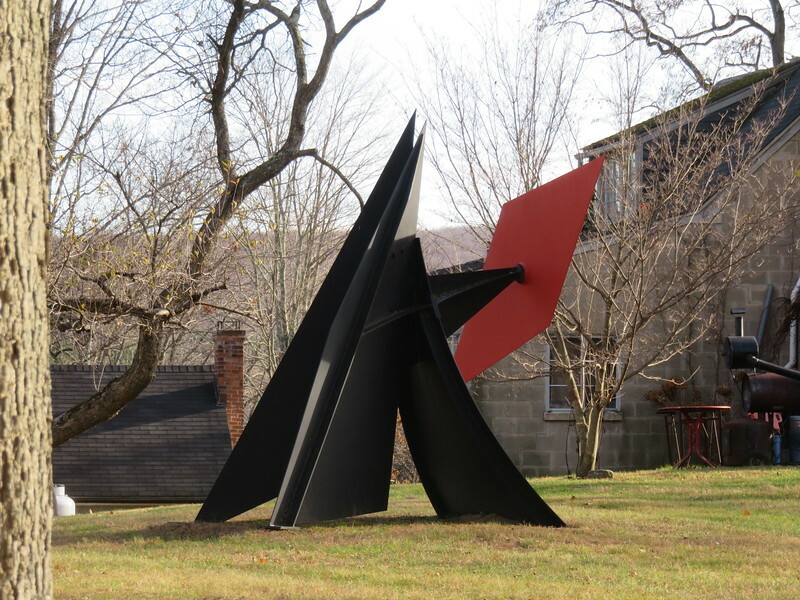 I also learned that his home and studio are still owned by the Calder family and that there are still sculptures on the grounds. Though the homestead is private property, you can see the pieces from the roadway without trespassing. His studio was in the building there on the left. Some of his mobiles were visible through the window. Not a bad view of the valley rolling away. 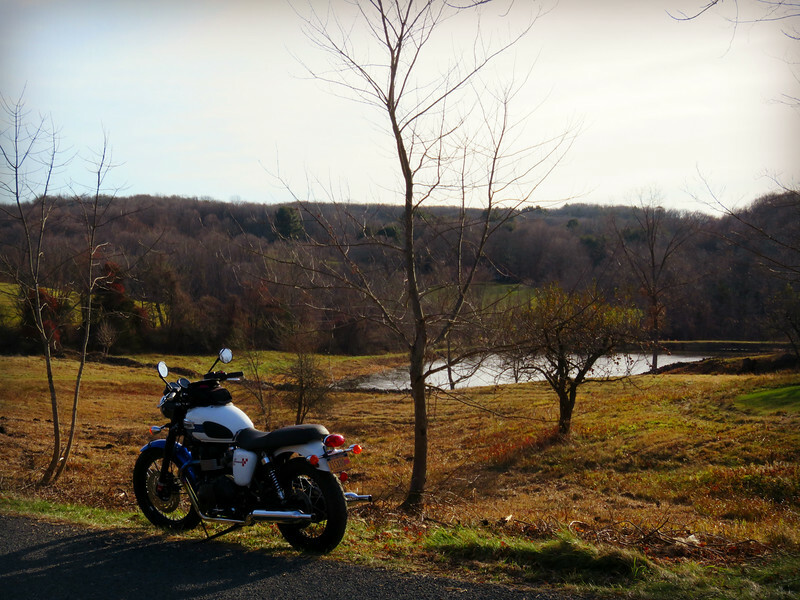 Roxbury is a great area for riding rambling backroads. 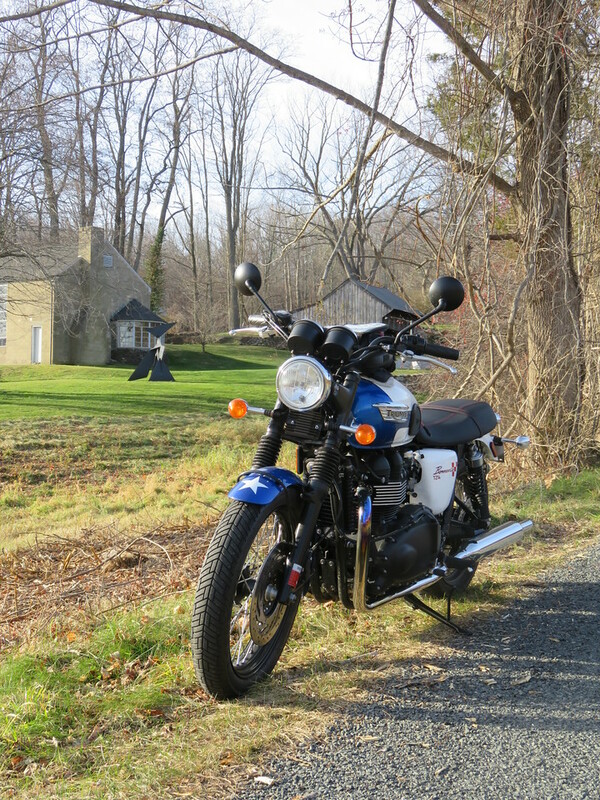 There are lots of dirt roads in the vicinity as well. 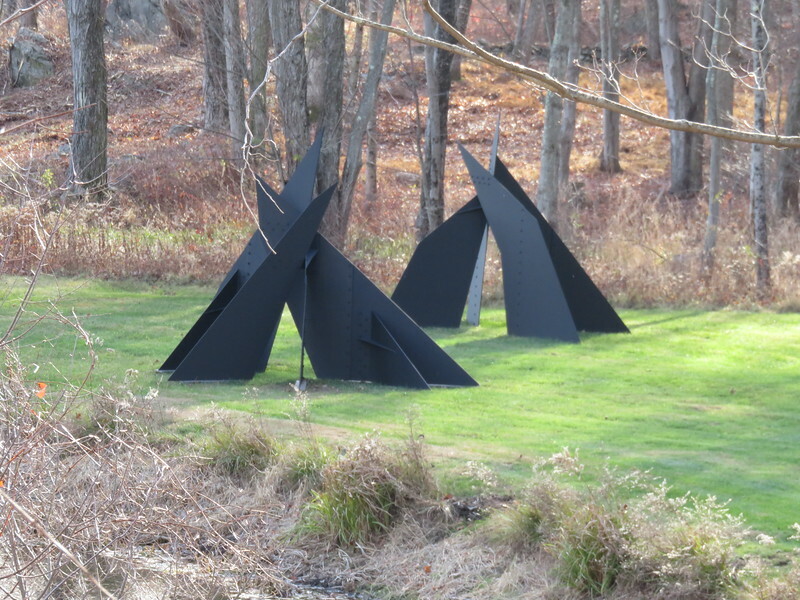 Some of my travels later in the year took me back past Calder’s place again rather unexpectedly. Funny how that happens. This is a photo I snapped a few years ago while walking around in Manhattan. I thought this was kind of neat, too. 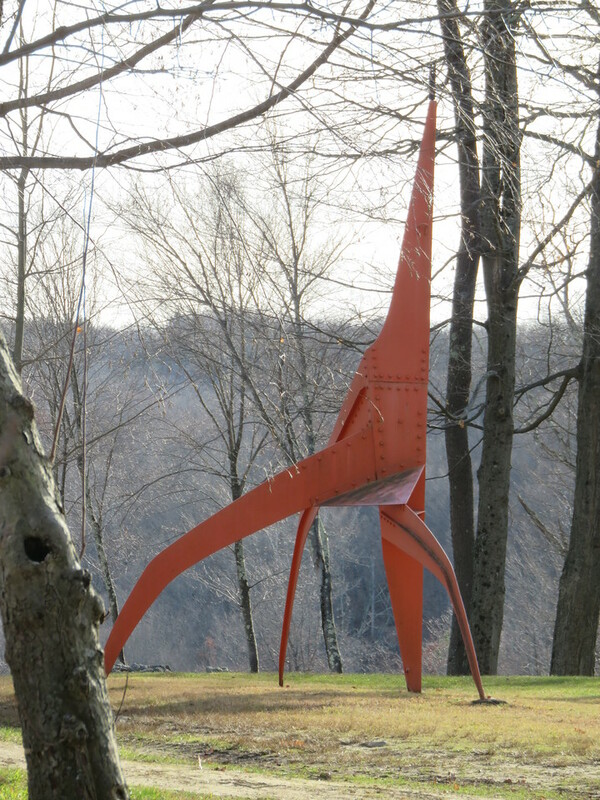 While digging around online trying to find where Calder’s former home in Roxbury is, I read a blog post that featured a few photos from the 70’s of Segre’s Iron Works where his work was fabricated. Two of my favorite Calder’s are at the New England Aquarium in Boston, and at the Porter Square “T” Station in Cambridge. I took a detour last weekend up Massachusetts Avenue through Cambridge just to show that one to my grandson. 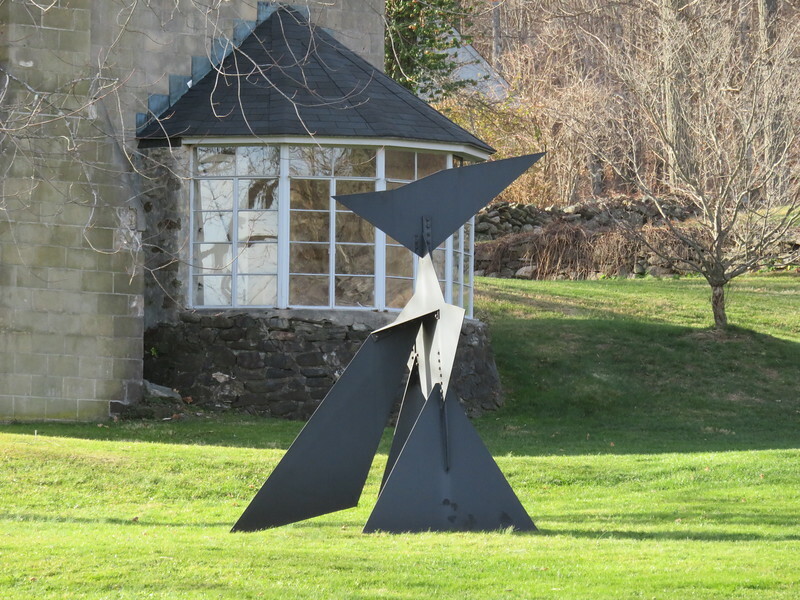 Calder’s larger mobile sculptures are timeless. Did your grandson like it? 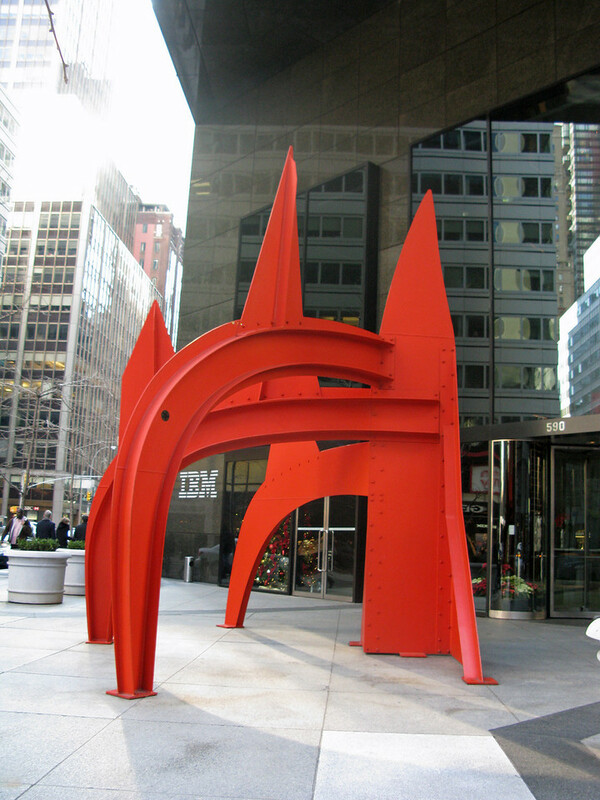 Calder seems like his work would be appealing to children. I have a “to do” to see Stegosaurus in Hartford. Yes, he liked it. My grandson is 18. We pulled over and just watched as it moved gracefully with the slightest breeze. Art, in all its’ various forms, transcends generations and is a universal language that requires no words to be shared and appreciated. Art speaks to our souls. This is really cool. Art rocks and tracing it back to the source was ingenious. I want to do stuff like this. Sweet, Sweet, Wienermobile – Good To See You Again! 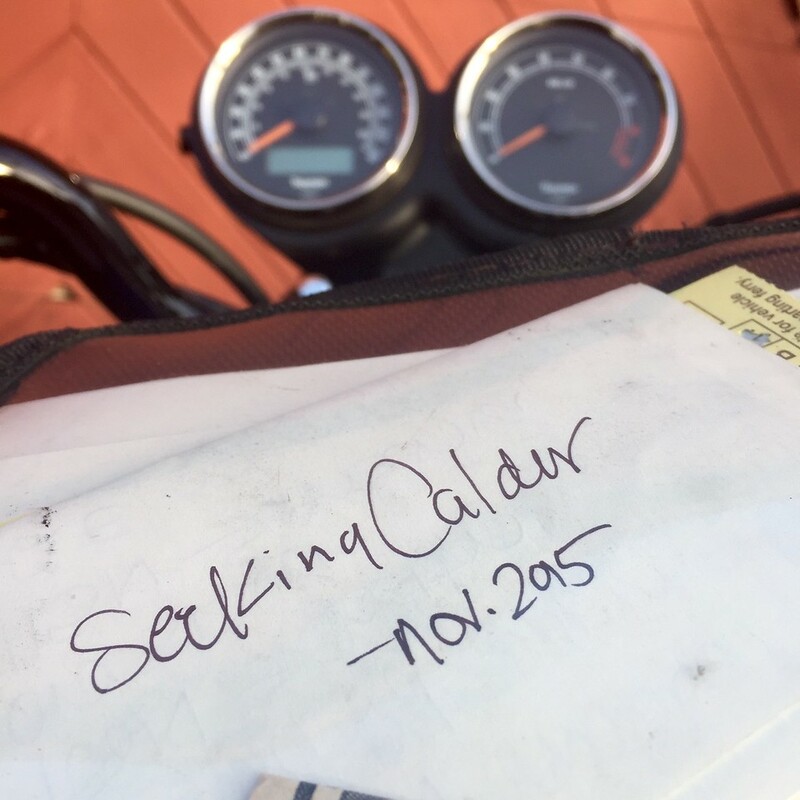 Trip Planning: Northern California – Can You Help?